Home/Posts/Contests/CONTEST: Sit Between Doug & Josh at a LA Lakers Game! 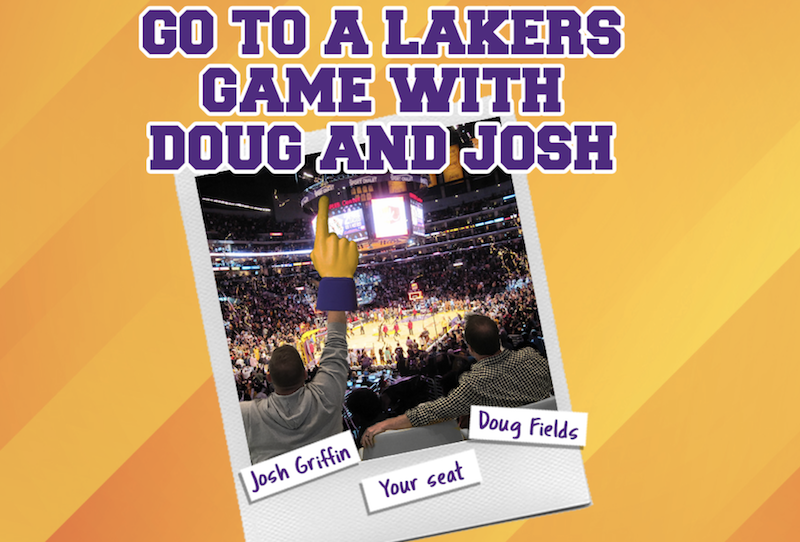 CONTEST: Sit Between Doug & Josh at a LA Lakers Game! But wait, there’s more! We’ll also be covering AIRFARE, HOTEL, FOOD & MORE for a whirlwind trip to Los Angeles to eat, hang, talk youth ministry and watch the Lakers from great seats. I WANT TO WIN THOSE TICKETS!! Ok ok! Just click the link below that applies to you, it’s that simple! I’m already a Gold Member & Site License Subscriber, click here. I’m a DYM Yearly Gold Member, but don’t have DYMU, click here. I have DYMU, but am not yet a Yearly Gold Member, click here. I’m not a Yearly Gold Member or a DYMU Subscriber, but I’d like to be,click here.